So you’ve already established your long-term career goals, which was the hard part. Now it’s time to break up those goals into short-term career goals, smaller chunks, or rather steps, to more easily attain that broader vision. Short-term career goals are things you can do that will help you get closer to your long-term goals. Many like to break up their short-term goals into things that can be accomplished within 12 months. Then each year, they keep creating more short-term goals to check off that year. Short-term career goals are important because without them your long-term goals will remain just a wish. You need a concrete plan of practical actionable steps to get where you want to be. And without a checklist, you’ll probably never reach them. The great thing about short-term career goals is that they can cover a variety of concrete and practical possibilities. If you’re trying to look for a more senior role your industry to reach your career goals, the first thing you’ll need to do is to create or update your resume and strengthen your online presence including your LinkedIn profile. Make sure you keep a copy of your resume on your smart phone so you are ready to send it out at a moment's notice. Many professionals who want to advance their career or move into a new industry may need to make a short-term career goal that includes obtaining additional skills. Check out the 3Plus programs! This might involve going back to school, or taking online courses or other training. Whatever it is, personal development is frequently a short-term goal for many. Most of us are not great at managing our time. 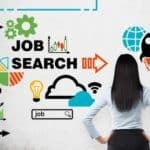 Many people want to accelerate their career paths but are reluctant to, or put off, taking on new projects that will be key to gaining new and vital knowledge to add to their resumes to benefit their long-term goals. To make sure you can achieve this, set short-term goals centred around improving your time management to increase proficiency and speed. This will enable you to tackle those stretch assignments that will impress your boss and management. If you are still procrastinating and can’t get out of the hole, consider getting professional help from a career coach. If a long-term goal relies on you knowing key people in a specific sector, then creating a credible network of contacts in that area should be a short-term goal. Create a strategic plan to expand your network . Develop a networking strategy to become connected to like-minded professionals and sector influencers to get you one step nearer to where you want to be. Make sure that all your tools for effective networking are in place and up to date, whether business cards as well as a complete online profile. Reach out to meet new people whether internally or outside your company. These small incremental steps will add up to make a significant difference to help you reach your long-term objectives. What other goals would you add? Need help setting your goals? Contact us for career audit and strategy coaching which includes competence testing.